Folks often say things because it makes them feel better to say it. For example, "the road construction is not that bad" or "I'm just a few pounds overweight." We want to believe them but the simple fact is they aren't true and they won't happen. Road construction is a never-ending process and in five years you'll be buying bigger slacks. That's reality. What does all this have to do with NASCAR? A lot. 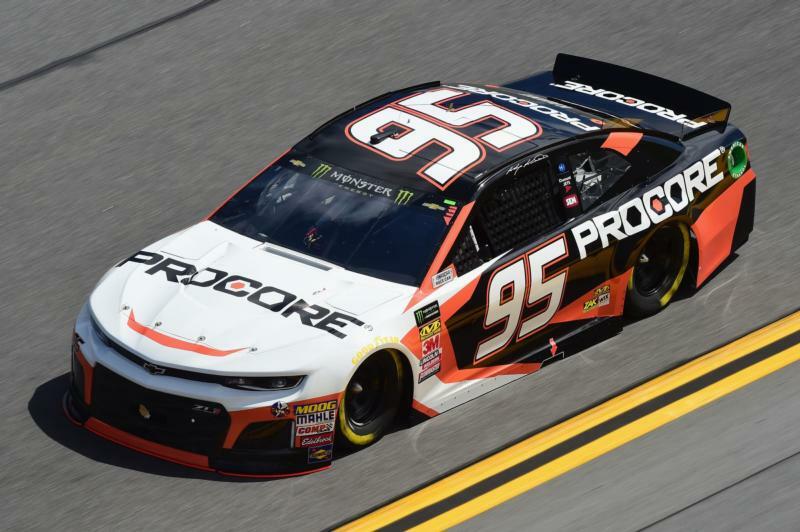 "Kasey Kahne will make difference in the 95 car," "Austin Dillon is headed for a great season," "it will be wonderful when Bubba wins," and finally, "now that Matt Kenseth is back, Roush Fenway can be competitive again." There is a pattern here. All of these statements make us feel better because most fans want to see them come true on some level. I take no pleasure in saying this, but odds are, none of them are happening anytime soon. I heard that Kasey Kahne moving to Leavine Family racing would be a difference maker. After 12 races this season, Kahne is 27th in points and has led two laps. I'm not taking a shot a Kasey, but why did folks think his arrival was going to be a big difference maker? In his last three years with Hendrick, he amassed just nine top fives and one win. It was unreasonable to expect him to show up at LFR and become a threat in inferior equipment. Austin Dillon wins the Daytona 500 and it's a wonderful story! Unfortunately for Austin, many of the stories were about the return of the 3 car or Earnhardt's 20-year anniversary and not about him actually winning the race. Since that shining moment, Austin has enjoyed one additional top 10 and has led five laps. In a year where the Chevrolets can't run with Fords or Toyotas, not a single person should be surprised at the outcome. "It would be awesome if Bubba won." I agree totally, and would love to see him post a W. Bubba is a fresh face with a huge personality. I also think by judging from a limited sample size, he has a lot of upside. The good news stops right there, because he's racing for Richard Petty Motorsports and they have not shown that they can roll out race-winning entries. I know Bubba took second at Daytona and it was awesome, but since then, reality has come crashing in like an uninvited house guest. It's great that RPM has giving him a chance on the big stage but to truly shine, he will need a ride with an elite team. We live in the era of the car and team. The driver carries much less impact. Put Kevin Harvick in any of the cars we've discussed and he's not winning races, he's celebrating top-15 finishes. Matt Kenseth gets called off the bench to drive the 6 car for Roush Fenway, and immediately there is a Greek chorus of folks proclaiming the glory days are about to return. Matt is a skilled driver and represents an upgrade over Trevor Bayne. But in his first race back, he was running poorly before crashing out and finishing 36th. Even with his pedigree he's unable to will that car to be competitive. It's human nature to want things to work out and give us nice stories with happy endings. Yet, in the real world, that is seldom the case. In the NASCAR universe, putting a driver in a non-competitive ride seldom changes the outcome. I will give a salute to Aric Almirola who has some decent runs in the No. 10 car. There was nowhere to go but up for that team. "The new inspection procedure should smooth things out for everyone." I'll just leave this right here.